SUPPORTING YOUTH BASEBALL & SOFTBALL PROGRAMS IN UNDER-SERVED AREAS. The Golden Spikes Award will be presented to the top amateur player in the country. We'll also present awards for Manager of the Year and Lifetime Achievement (honorees pending). The Rod Dedeaux Foundation was formed to continue Rod’s spirit by supporting youth baseball and softball programs in underserved areas – while providing a sanctuary from challenging environments. The USA Baseball Golden Spikes Award is presented annually to the top amateur baseball player in the United States. 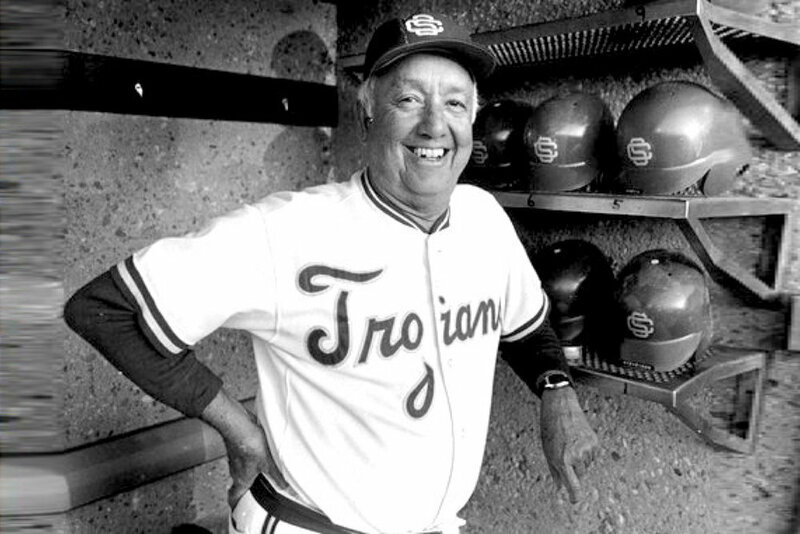 The winner will be announced in Los Angeles during a nationally televised broadcast (2019 Date TBD) – and will be honored at the Rod Dedeaux Foundation Awards Dinner. Pictured: Former MLB Star Daron Dreifort (left) with 2018 GSA Winner Andrew Vaughn. Check out some highlights from our 2018 Prestigious Events at Jonathan Club in Los Angeles. 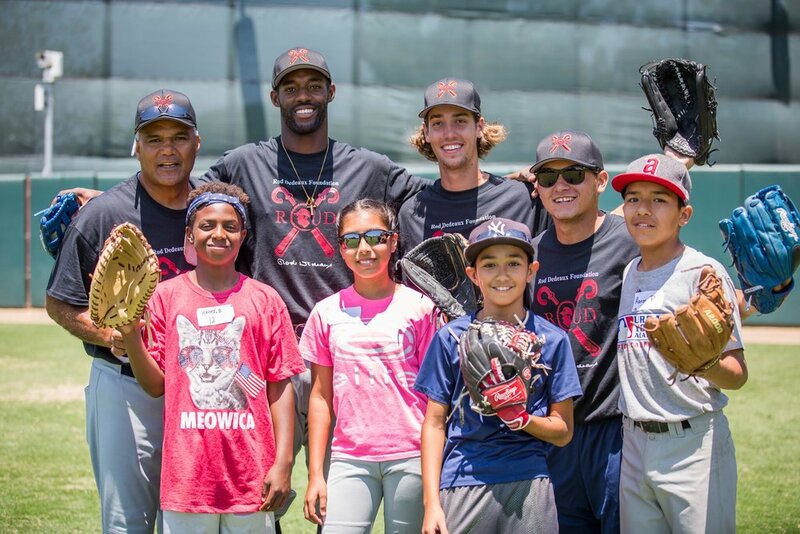 More than 150 youth from five different organizations within the inner cities of Los Angeles will come together at USC Dedeaux Field for the Rod Dedeaux Foundation Youth Clinic (2019 Date TBD). Over 25 coaches (former MLB stars, Golden Spikes Finalists, and current college players) volunteer their time to ensure each participant has the most impactful experience possible by providing valuable instructional stations, a USC campus tour, and motivational mentorship. Take a look at some memorable moments from our 2018 Youth Clinic at USC's Dedeaux Field. PRESS RELEASES & RDF BLOG COMING SOON.